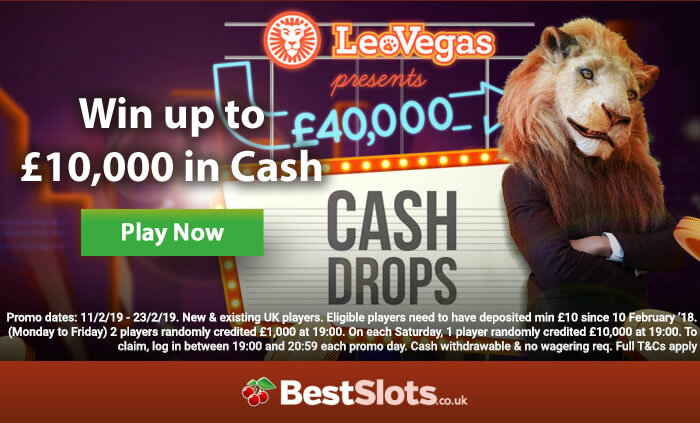 LeoVegas Casino was named Mobile Casino of the Year at the recent Globing Gaming Awards and is celebrating by splurging the cash over the next couple of weeks courtesy of their massive Cash Is King Giveaway which will award £40,000 between now and the 23rd of February (2019). £1,000 in cash will be dropped into the account of 2 lucky players every weekday between 7pm and 9pm during the qualification period. The rewards are even bigger on Saturdays where 1 lucky winner will see £10,000 dropped into their account! All told, that’s a cool £40,000 in cash that will be awarded between now and the 23rd of February. To be in with a chance of winning 1 of these fantastic prizes, you’ll need to have made a deposit of at least £10 since the 10th of February – it’s as simple as that. Then just log into your account between 7pm and 8:59pm on weekdays and at 7pm on Saturdays to see whether the fickle finger of fate is pointing in your direction. To participate in the Cash Is King contest, you also have to have selected ‘yes’ to offers, bonuses and communications in your account settings. This giveaway is open to both new and existing players. If you’re in the former category and haven’t played at LeoVegas before, then now is a great time to have a closer look. 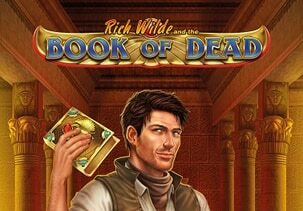 Just sign up and you’ll be eligible for 20 free spins on 1 of LeoVegas’ most popular slot games, Book of Dead. There’s no deposit required to get these free spins which come with a 35x wagering requirement. New players are also eligible for a 100% bonus on their first 4 deposits, up to a maximum of £400. Each of those first 4 deposits will also add another 20 bonus spins to your total. This offer isn’t available if you use money wallets Skrill or NETeller to make your first deposit – use your debit or credit card. There’s a 35x play through requirement before you can withdraw bonus or bonus spin winnings too. If you love slot games, you’ll be pleased to know that LeoVegas has nearly 1,200 of them – they also have the newest games like WMS’ Neptune’s Quest, Quickspin’s Ticket to the Stars and Novomatic’s Feather Frenzy.